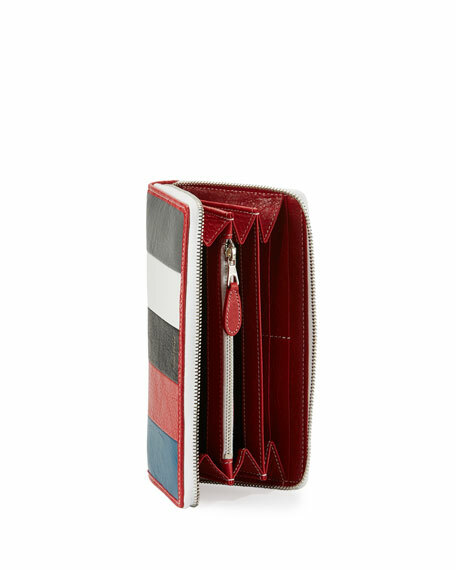 Balenciaga Bazar Continental arena leather striped, crinkled leather continental wallet. Embossed logo at top center. Interior, center zip pocket; 12 card slots. 4"H x 7.5"W x 0.8"D.
For in-store inquiries, use sku #1962569.